THE ART OF FITTING. We regularly get asked the question: “What in fact is the difference between a fitter and a tailor?” The answer is: “A tailor does not necessarily need to be a fitter but a fitter needs to be a tailor and much more than that.” Fitters need to be equipped with a strong skill-set. 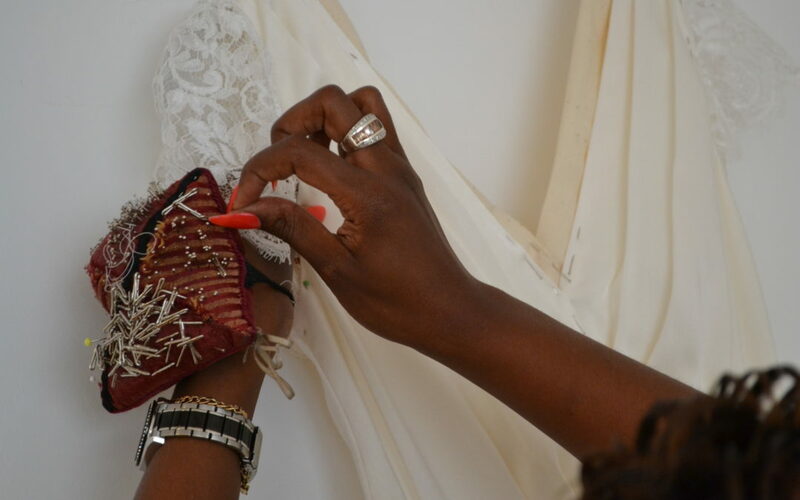 They need: people and communication skills, have a thorough understanding of fabrics and garment constructions, know which style goes with which type of body shape as well as being inventive in finding solutions and giving options to clients. 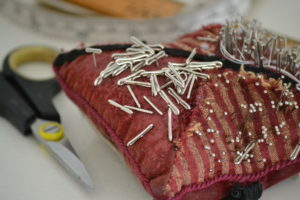 Fitters need an eye for the famous ‘attention to detail’ to truly perfect the fit and with us they also need to be experienced in knowing how long it will take our tailors to finalise the work when they estimate alteration charges. 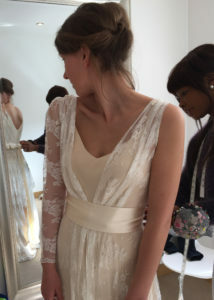 At our sister company Design & Alter experienced fitters are consulting clients on their wardrobe – giving advice to individuals – discussing how to customise suits, dresses, evening wear, designer, formal work clothes and bridal garments. They explore re-styling and alteration options, updating valuable vintage garments. Fitters regularly need to find solutions to make the impossible possible by correcting badly fitted clothes to perfection. When a client enters the door, a fitter very quickly needs to assess: the dress style of the client – what would bring out the best of the person’s body shape – is the client expressive or would feel more at ease in an understated look. A Fitter’s concern is to satisfy a client’s expectations which is sometimes not easy because ideally we would all like to look like Angelina Jolie even if we are a size 14. 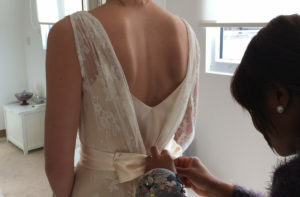 Fitters are the important link between the client and workroom tailor meticulous communicating and monitoring the alterations to ensure a high quality service resulting in YOUR perfect fit. What is the most common style mistake a bride makes? Join our mailing list to receive the latest news, updates and promotional offers.